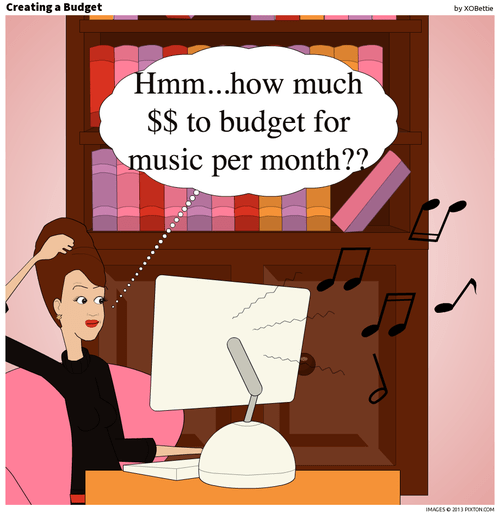 How much $$ to budget for music per month? Of course, there is no right answer to this question. But actually, I need to know. Because I am painfully talented at justifying musical purchases. Mint has cleared up my confusion! It created a budget FOR me, based on my previous months of spending. PLUS, I could compare myself to the average american’s spending habits. I was able to create an actually realistic budget with the help of my fellow citizen without awkwardly asking anyone. Rock on, Mint! See for yourself here.